Home » Jailbreak » How to Downgrade from the iOS 8 Beta to iOS 7.1.1 iPSW Firmware? How to Downgrade from the iOS 8 Beta to iOS 7.1.1 iPSW Firmware? Have you tried the iOS 8 beta on your iPhone, iPad, iPod Touch devices? 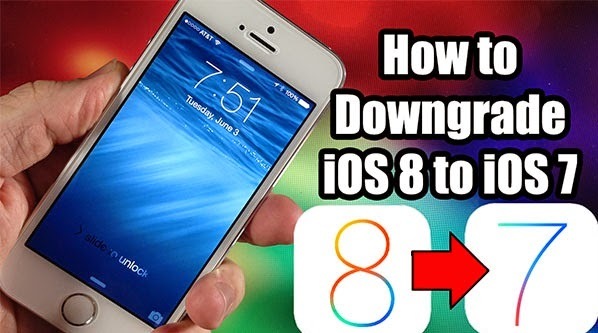 If you not try then you can downgrade from iOS 8 to iOS 7 throughout the beta period without any significant hurdles. I searched over internet about iOS 8 beta official update but Apple hasn’t announced any official update regards iOS 8 to iOS 7 downgrade to iOS 8 beta users and they are very curiosity about new update relate to beta version but probably it’s possible to utilize a special repair option to downgrade right away. Indeed, Apple will minimize this gap before the release date of iOS 8 this month, hence don’t await an easy downgrade choice when the public release comes. As users knows that iOS 8 beta is not a completed software so improvement, battery life and app support is not up to the similar feel that iOS 7 or iOS 7.1 furnishes. If anyone attempted the iOS 8 beta 1 on iPad Air 5G and other iPad devices, iPhone 5S and its other devices and iPod Touch 5G and come on that this is not for you. Just read these guideline to downgrade to iOS 7. Here, I share you two big statements about this procedures. If anyone abandon your iOS 7 Jailbreak on iPad Air 5G and other iPad devices, iPhone 5S and its other devices and iPod Touch 5G so you try the iOS beta 8 you’ll go back to an iPhone without a Jailbreak. If users want downgrade their devices then there is a one thing which you can do is to iOS 7.1.1, why you guys do this because there is no official public Jailbreak offer. It is also crucial for users that want to undo from a backup to ignore backing up as on iOS 8. Apple Company doesn’t allow users restore a backup from a new version of iOS to a previous version. If you want iOS 8 beta then you should be able to bring back a backup you made before using the iOS 8 beta then this is the relatively simple and easy way to try the iOS 8 beta for a couple of days and then go same position. I am very upset when I found that Apple doesn’t provide a one window downgrade option. How sad guys? This is a complicated then downloading or installing the iOS 8 beta on your iPad Air 5G and other iPad devices, iPhone 5S and its other devices and iPod Touch 5G. Users need to search the iOS 7 download for your particular device either its iPhone, iPad, iPod Touch/Mini. If developers reading this post then Apple offers a download in the Dev Center, but for other users just searching out iOS 8 you’ll need to look another place. Anyone visited the iOSDay website, over there you can download the correct version of iOS 7 for your iPad Air 5G and other iPad devices, iPhone 5S and its other devices and iPod Touch 5G. The install or download part lists iOS 7.1, but it’s actually the iOS 7.1. IPSW Firmware File. You need to install or download the accurate file for your iPhone, iPad and iPod device. IF you guys not sure which handset model iPhone, iPad or iPod you use this page to search it out. You can also check at the back side of your iPad Air 5G and other iPad devices, iPhone 5S and its other devices and iPod Touch 5G. 1- You need to download the correct iOS 7 IPSW Firmware for your iPad Air 5G and other iPad devices, iPhone 5S and its other devices and iPod Touch 5G. 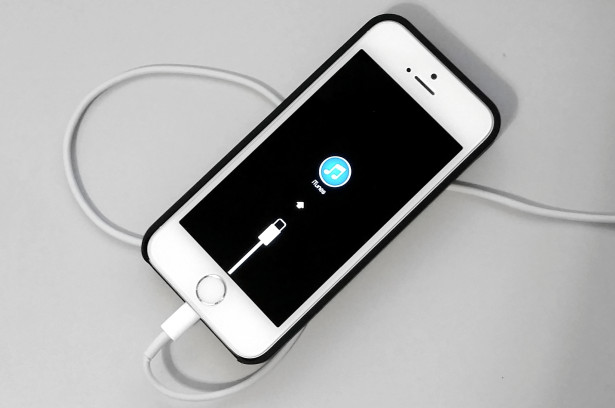 2- Turn your iPhone, iPad or iPod into Recovery Mode. If you want to do this then you need to follow these footsteps. Press the home icon and plug the cable or Dock link with the other end linked to your personal computer or laptop. Keep pressing the home icon until the recovery mode logo appear. 3- iTunes should identify the iPhone recovery mode and display a short message same to the below picture. 4- Few users can click Restore and iTunes will install or download the correct file for them. Other users may require to utilize a technique same to download or installing the iOS 8 beta. If you are using or you are Mac users, then click restore. If you are Personal Computer or Laptop then use Shift click restore. 5- Search and hit on the iOS 7.1 IPSW Firmware that you installed or downloaded. Click open and then click Restore. 6- Wait until your iPhone, iPad and iPod devices to restart with iOS 7.1.1 downloaded or installed.